Almost two thirds of girls (65%) say their parents are most likely to influence subject choices at school, and half said their parents influence their career aspirations. Despite their high level of influence, only one in four (24%) parents feel ‘very informed’ about the variety of STEM career opportunities and a significant 54% stated that they have no experience of modern STEM careers to pass on to their children. More than half of parents (52%) admit to having personally made subconscious stereotypes about girls and boys when it comes to STEM subjects and more than half of teachers (53%) have witnessed girls drop STEM subjects in school due to pressure from parents. Alarmingly, one third of parents and teachers (29%) still perceive STEM disciplines as more closely fitting boys’ brains, personalities and hobbies. One in four girls feel there are no financial rewards for a career in STEM. Almost a quarter of teachers feel that the gender divergence in perceptions of STEM begins between the ages of 7 and 11, with one in ten teachers believing that the gender gap begins to appear before primary school. When it comes to choosing what to study, 94% of female students are hugely influenced by how subjects are taught. However, one third of teachers surveyed said they did not know enough about STEM and STEM courses and careers. Amongst girls’ schools who attended 3 or more STEM events, 30% chose to do at least two STEM subjects to Leaving Cert compared to 20% who attended two or less. 82% of the girls surveyed indicated that they want a career where they can help other people, yet they cannot clearly see how STEM can facilitate that. The majority of teachers 94% recognise the opportunities for STEM careers and 74% want more support though training and access to STEM role models and industry. 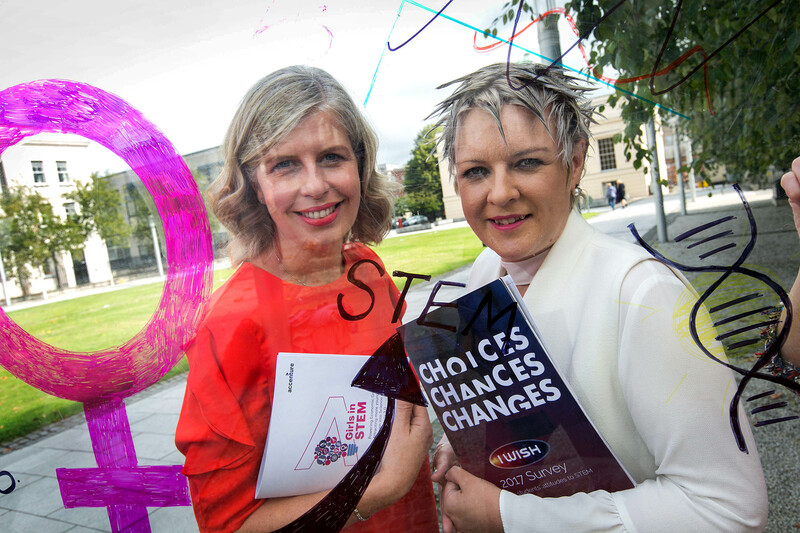 Paula Neary, Client Director at Accenture Ireland, said “A new trend that has emerged is the need to change the ways that we talk about STEM careers. The report indicates that descriptive job titles such as ‘Sports Equipment Inventor” are more appealing to young girls than traditional jobs titles such as ‘engineer’. Early intervention to alleviate negative perceptions of STEM at a young age. Help parents educate themselves further about STEM subjects so that they have a positive influence on their children. Introduce training and supports for teachers that provide comprehensive information on STEM careers and course options. Alter the way we speak about careers to enable children to envisage what a career in STEM might look like. The research encompasses the findings of two reports from Accenture and I WISH. Powering Economic Growth: Attracting More Young Women into Science and Technology 3.0 sheds further light on the barriers to encouraging girls to study STEM subjects and to sustaining that path through secondary education and into third-level and beyond. It builds upon the research carried out for the 2013 and 2015 reports. In the Republic of Ireland, the sample size was approximately 600 people, including students, teachers and parents. This research was undertaken in January 2017.